Brand NEW energy-efficient home ready March 2019! 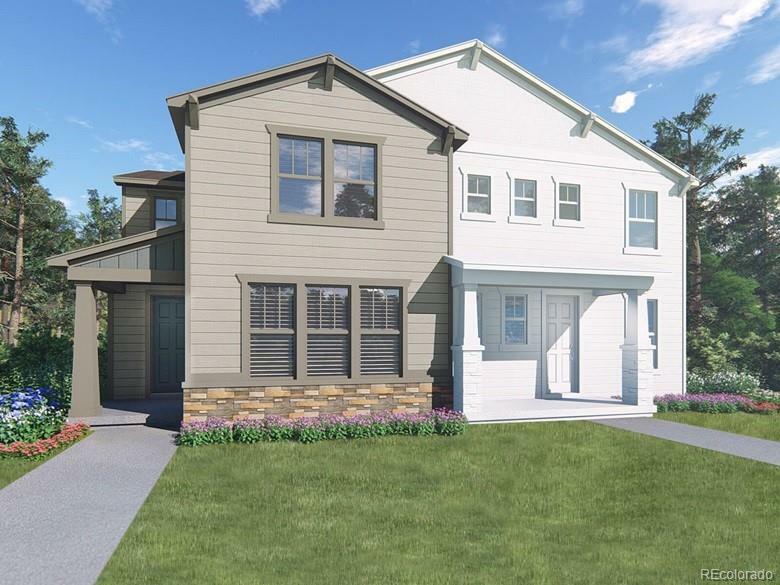 A spacious open floor plan two-story Nederland paired home with 3 bedrooms, 2.5 baths, 2 car attached garage, loft, covered outdoor living, a full unfinished basement. An entertainer's kitchen with upgraded Tahoe white cabinets, granite counters, stainless gas appliances, and an expansive kitchen island. The great room exudes an open and inviting feel. Extensive 7" wide luxe plank flooring on the entire main level. Upgraded 12x24 floor and wall tile featured in the master bath. Large private master bedroom suite. Oversized loft provides an extra room. Trails Edge boasts a neighborhood park with walking trails that connect to the Happy Canyon Trail. Known for their energy-efficient features, our homes help you live a healthier and quieter lifestyle while saving thousands of dollars on utility bills.